For the past years, Sisters for Abundant Living in Miami Lakes, FL, has provided free healthy meals to low-income communities through funding courtesy of the Florida Department of Agriculture. 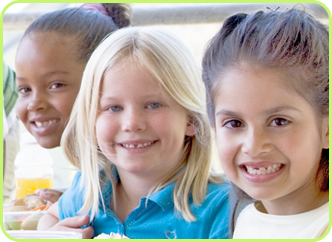 While we constantly strive to promote academics, the Healthy Body Healthy Mind program enables children that often go hungry during the summer without school lunch to also stay engaged academically. Studies show that children who lack nutrition struggle more academically and also show that, over the summer, children lose 30% of the information they have learned during the regular school year if they are not involved in some organized academic summer program. Meals are distributed to low-income housing communities, parks, and many other locations. Since all parents cannot afford summer care; in 2013, we expanded the Healthy Body Healthy Program to include Miami-Dade and Broward County libraries. During the summer, many children visit the libraries as a "free" safe-haven because parents cannot afford child care. Children are able to read books, reenact stories during story time, and participate in various activities at over 110 sites (59 libraries). We served more than 168,000 meals to children over the span of 10 weeks and the program was featured on two local television stations (WSVN7™ and NBC6™), as well as in both Spanish and English radio stations and local newspapers.